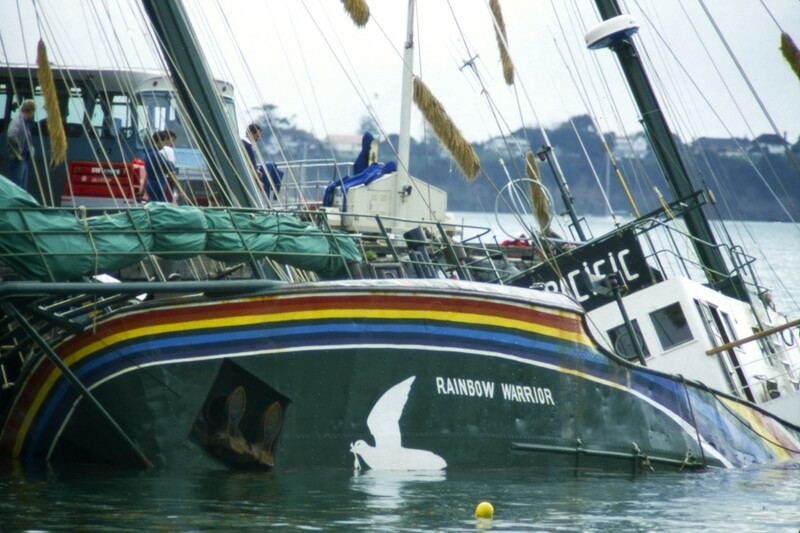 On the night of July 10, 1985, two bombs planted by French special forces exploded in Auckland harbour – sinking Greenpeace’s first ship, the Rainbow Warrior, as it lay at anchor. Freelance photographer Fernando Pereira was killed in the incident, and the ensuing international outrage propelled the environmental organisation to the forefront of the world’s consciousness. 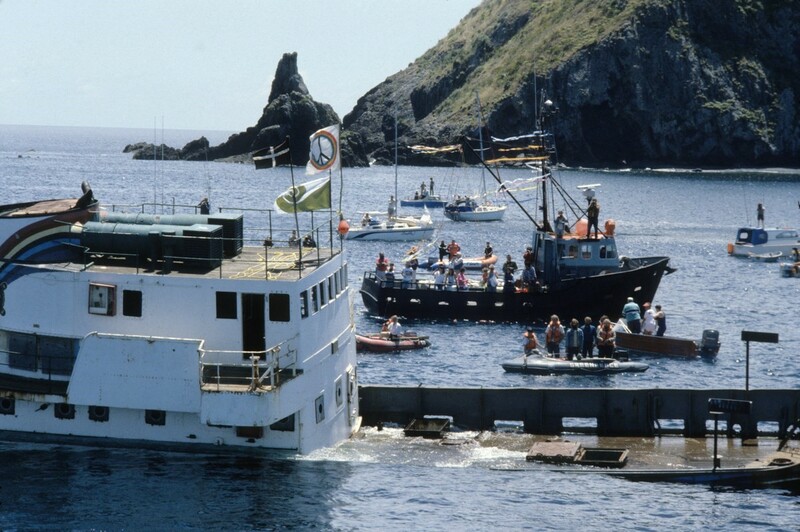 Captain Peter Willcox was on board that night, and has since gone on to command the second, and now third iterations of the Rainbow Warrior. More than perhaps any other individual, he’s been on the frontlines of some of Greenpeace and the wider environmental movement’s most pitched battles: manoeuvring between whales and whaling ships in the South Atlantic, protesting the wholesale dumping of toxic waste in the North Sea, and sailing deep into the Arctic to block oil exploration. AnOther went aboard the iconic ship to meet Captain Willcox during a recent stopover in Hong Kong, where researchers were busy surveying ocean plastic pollution. Chris Hatherill: So we’re standing on the bridge of the Rainbow Warrior III and it looks pretty high-tech. 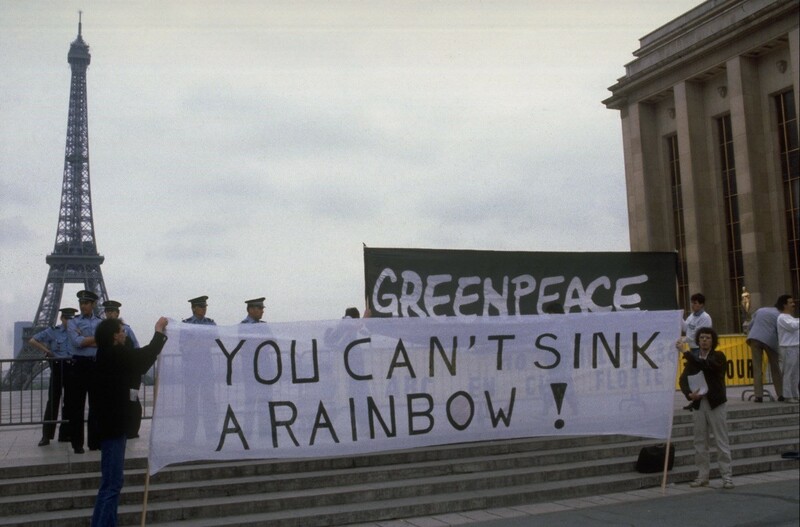 How does this compare to the previous Greenpeace ships? Captain Peter Willcox: This is the first ship we built from the keel up, so it’s incredible. 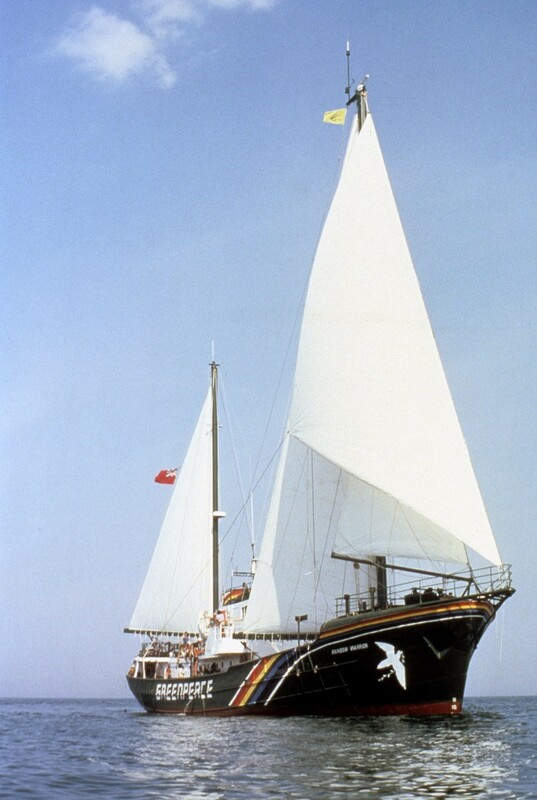 If you compare it, we got a grant from the World Wildlife Fund to buy the first Rainbow Warrior and it cost £70,000. This one was closer to £20 million. It’s just a whole different animal. Sometimes I have to look around and just shake my head and wonder how we got here. 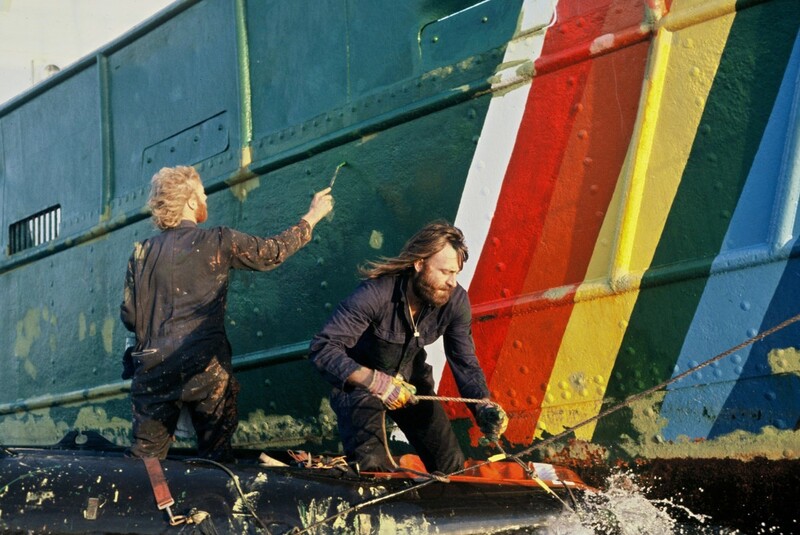 When I started off in Greenpeace in 1981, there were about 200 people worldwide. Now there are over 3,000 and we’re in 55 different countries. 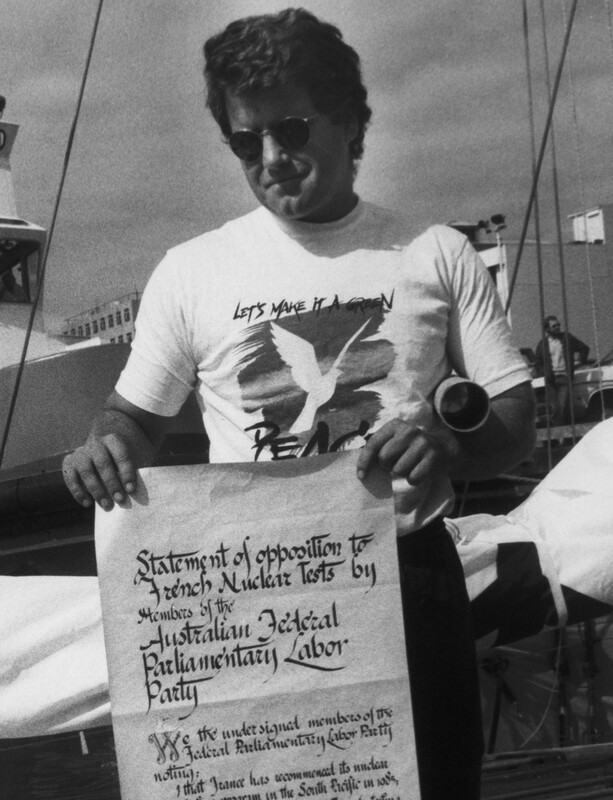 Sometimes it was more fun being a small, little niche environmental group, but we decided back in the 80s, and I remember being part of these discussions, that we wanted to get bigger, more disciplined, more organised, more focused, or we wouldn’t amount to very much. So we did. Now we’re a player. We’re part of the debate, and that’s what we wanted to be. CH: Every day must be a little bit different, but what’s daily life like on board for you and the crew? CPW: Crew wake-up call’s at 7:30am. We spend an hour cleaning the boat, then we switch into maintenance. Of course, when we’re underway, there are at least always two people on the bridge watch. We do the business pretty much like any merchant ship of getting from point A to point B. One of the things I like about this boat is that because of the sails, it gives me a whole other dimension to each trip: trying to burn as little fuel as possible. If I have to use the engine, it’s a bit of a come-down. We did a trip last year from Spain to Mexico, and we only used the engine seven hours of the whole trip. That was great. CH: What’s been the hardest part of being on board for so long for such a long part of your life? CPW: Well, now it’s being away from home, really, as much as I am. I took about eight years off to be a single parent, and then I only did one trip a year, but now I’ve been back to full-time for a while now. I’ve got a wife that I leave at home, and I’m reaching the point of my life where you don’t know how many more trips or how many more years you have. Time gets to be more precious. But that’s a sailor’s life. CH: What’s the best part of being at sea? CPW: I like having an international crew. We’re a crew of 14, and we probably have over a dozen nationalities on board. I like that. I like putting my efforts into something useful. I think it’s a really critical part of having a happy life, fitting out how you contribute to society in a meaningful way. Just going to work and punching a clock doesn’t really amount to very much, and Greenpeace has given me a way of being able to contribute. It’s also been good in that I’ve always liked to sail. I grew up sailing. I grew up on the water, and in a politically switched-on family, so in many ways this is just a great combination for me to fall into. That’s why I’ve been doing it for 37 years, or whatever it’s been. CH: So over all those years, have you seen any physical changes at sea – like stuff that can actually be noticed? CPW: Sure, yeah. Quite often when we’re sailing across the ocean, we’ll tow a couple fishing lines. We used to sail from South America to Europe, and catch fish every day, and the last time we did it a year ago, we didn’t catch one fish. So we noticed that. We also notice – now this is very unscientific – but we do notice more plastic in the ocean. There’s no doubt about that. I mean, the first time I really looked down and saw a lot of plastic in the ocean was 18 years ago sailing into Manila, and from about a hundred miles out we started to notice plastic in the water. That was very unusual, and it really caught our eye. But this last year in the Mediterranean that was the kind of thing we saw all over the place. You looked down and it was quite normal to see a piece of plastic floating in the water. The thing that’s so alarming, at least to me, is that 90 per cent of all the plastic in the ocean is microscopic. You don’t see it, but it’s there. It’s getting into the food chain. Some scientists are starting to use mussels as a scale to see how much plastic’s in the ocean. Mussels are filter feeders. They filter in the water, they keep the plastic, they pass out the water, and in the one study I read about, the mussels of northern Norway on the Arctic Ocean were the most heavily plastic-polluted. Well, that makes sense because that’s where the Gulf Stream ends. It also shows you just how substantial the pollution is. There’s no beach in the world that doesn’t have plastic on it. No beach in the world. CH: You and the ship are involved in all kinds of campaigns – how big an issue is ocean plastic? CPW: I think it’s a pretty big issue. I mean, we’re doing some real significant damage to the oceans these days. The biggest thing we’re putting them under is climate change stress, because the more fossil fuels we burn, the more carbon dioxide we put in the atmosphere. About 40 per cent of that gets absorbed by the oceans, and when the oceans absorb it, it becomes an acid, carbonic acid, and as the oceans get more acidic, they get less likely to support the very crustaceans, like phytoplankton, that are the basis of the food chain. Phytoplankton have a very thin calcium carbonate shell. The oceans get too acidic, they won’t grow. It’s like coral. It won’t grow. So, we’re getting to the danger point very rapidly. Now, the other two dangers, the other two things we’re doing to the ocean, is one: we’re dumping incredible amounts of plastic into it. I mean incredible amounts, so that within the very foreseeable future there’ll be more plastic in the ocean than fish. We’re also overfishing to a dangerous extent. If a farmer who owned his field were to treat his field the way we treat the oceans, he’d be out of business in two years. But we don’t. Fishermen, as a rule, have a philosophy that if I don’t catch this fish as soon as possible, somebody else is gonna catch it, and I won’t catch it. That’s not the way to run an industry. That’s not the way to treat a resource. We would like the oceans to feed as many people on the planet as is humanly possible, or as whatever. To grossly overfish is just not sensible. So we’re hitting the oceans in three different ways. Overfishing, we’re dumping plastic, and with climate change we’re changing their basic chemistry, so they are in significant trouble. No question about it. CH: You and your crew were arrested in Russia for protesting oil exploration in the Arctic. Was that the scariest thing? Were you expecting it? CPW: Not at all. I had done my first action in Russia in 1983 in Siberia. I had done another one in the Sea of Japan when we caught the Russians dumping nuclear waste off a tanker right into the sea of Japan almost within sight of the Japanese fishing fleet. That was in 1995. I thought I had a pretty good idea of what the Russians would do. It’s just the regular thing where they arrest you. You make them tow you to Murmansk. They yell at you for a couple of days and then kick you out. This time they told us to come into the investigator’s just to sign some papers, and we got there and they said, ‘Right. Well, you’re all being done for piracy, ten to 15 years in jail. Goodnight.’ Boom, the doors slammed on us. That was pretty dramatic. I mean, you have to remember that 99.99 per cent of all the people in Russia that are put in detention are found guilty at trial and so everybody that was there expected us to spend a least a decade in jail. CH: Final question – how many miles do you reckon you’ve covered for Greenpeace at sea? CPW: Ha, I actually added that up not too long ago – it’s getting close to half a million at this point. 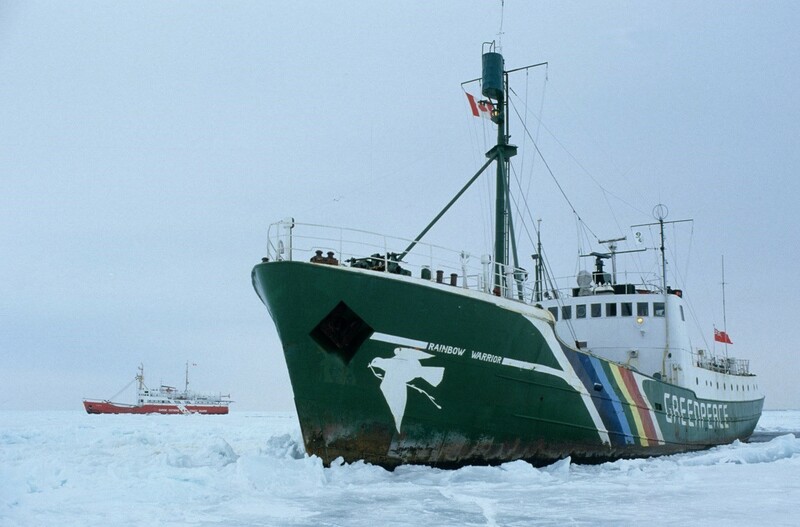 For more about the Greenpeace fleet and to apply for a place onboard, visit its site.